This article on Heinrich Köhler’s upcoming literature sale was submitted by Wolfgang Maassen. The Wiesbaden auction house of Heinrich Köhler has had a good reputation among philatelic literature enthusiasts, at least since the now legendary special philatelic literature auction which was held on November 2, 2012 during the international IPHLA exhibition at the Town Hall in Mainz. That auction which offered a wealth of important material, with some 1,000 lots of literary works, periodicals, and auction catalogs, such as are only encountered on rare occasions. Accordingly, there was a worldwide response, a well-filled auction room, and quite a number of exceptional results. 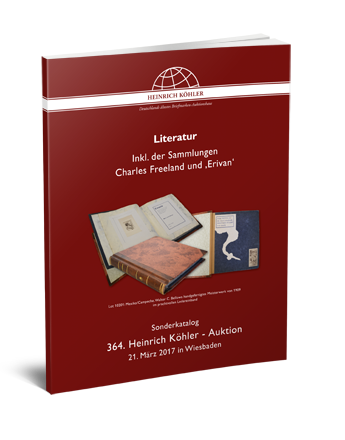 The catalog for Köhler’s literature sale. Philatelic literature is still—and certainly will be in future—much valued by connoisseurs and experts. This is due to its rarity compared with most postage stamps, and because of the content that one can use for one’s own research. Many books and magazines from the 19th century are great rarities; many only exist in the form of a few copies or individual examples. Other printed items from this period may be found more frequently, but hardly in fine condition. Or they are notable for their elaborate bibliophile-type covers, which would have been costly for earlier owners. It would also nowadays be far easier to purchase one hundred beautiful “Saxony Threes” within a few years than a well maintained and well preserved library of the same number of publications from the 19th century. Old albums in good condition—the photos show Brazil’s first stamp album by A. Bruck in 1897—are also in demand among collectors. 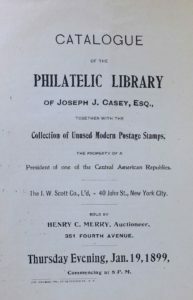 Compared to philatelic rarities, the rarities of philatelic literature are dirt-cheap, which makes it easy for an interested person to enter this field at any time. One may purchase such works for two- or three-figure sums. Four-figure amounts are the exception and higher figures practically unknown. Of course the price of such items depends ultimately on their condition and many items of literature from the early days of philately naturally show the inevitable signs of aging. Here one must compromise between what is desirable and what is feasible. Research—not only in the German language—in recent decades has shown the rarity of many books, but also the high intrinsic value of the standard works, which long ago were the ‘elite’ of philatelic literature. Almost all the early monographs of the (Royal) Philatelic Society, for which the authors received the Crawford Medal or other awards, are among these. Many books were printed only in small numbers, so that opportunities to acquire them are rare. This also applies to works which appeared overseas and were therefore not available. Today as in the past high postage costs often prevented their purchase. Therefore an offering of such material deserves all the more attention if it has such literary items in large numbers. A word about auction catalogs: The value of these was often underestimated in the past. 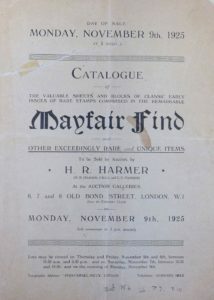 Among them are some very large, luxury catalogs of renowned houses, showing that they are far more than just price lists; indeed sometimes they are actually handbooks providing information on the current state of research with extensive and highly knowledgeable descriptions of individual items for sale, which one could otherwise only have obtained laboriously from many monographs. The well-maintained libraries of auction houses, and also of experts and expertizers, include the “special” and “name” sales, as they show not only provenances, but also the condition of the stamps at that time. A restriction also applies here as one mostly finds only local auction catalogs from recent decades, but not foreign ones from earlier times. Half-complete “runs” of the catalogs of such auction houses as Morgenthau, H. R. Harmers, Mercury Company, Robson Lowe (with its various companies), Siegel/Shreves, Spink and others under various names are all the absolute exception. Related to this is the fact that one typically needed to pay an expensive subscription to get them at all. In the United Kingdom or the USA the catalogues were not given free, if you don’t count the so-called “good customers”—exceptions prove the rule. In this respect, the upcoming Köhler special auction of philatelic literature warrants attention, because it has all of this to offer and much more—for the first time on such a massive scale—thanks to some consignments, in particular a large library, namely that of Charles Freeland, who during his lifetime especially collected and kept such auction catalogs. If these are now offered in a significant number of individual and bulk lots at very reasonable prices, as intended, the sale will make well-kept libraries available which are normally not available—to the major philatelic libraries as well. Of course the names of the great collections that are still remembered today can be found in this material on offer: Ferrary, Hind, Caspary, Burrus, Rothschild, and countless others who made history with their collections. The sale is enriched with another consignment of a selection of literary rarities from the library of Erivan Haub, but also two large stocks from other lovers of literature, from the first Potiquet catalog of 1862 up to the present day. The author fortunately had the opportunity to view in advance a large part of this material. The following overview provides a glimpse of a small part of it and some first impressions. 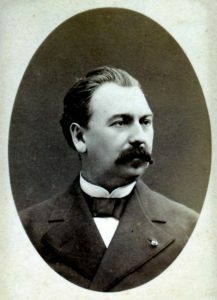 Alfred Potiquet famously published the first Catalogue des Timbres-Poste …, of which the second edition appeared in Paris in 1862. This, the world’s first postage stamp catalog, is available in the Köhler auction in the form of an exquisitely preserved example, still with the original stamp on the title page. It is the best-preserved copy the author has ever seen. Altogether there may perhaps be a dozen examples of this edition known, but hardly another one in such excellent condition! The first German Markenkatalog der Dürr’schen Buchhandlung (2nd ed. 1863, 64 pp., privately bound, ex Glasewald library) is, after a number of years, offered again. It is, so far as is known to the author, the only copy available in private hands, which the author valued in his literature catalog years ago at 2,500€. The catalogue of Jean-Baptiste Moens Les Timbres-Poste Illustrés (1840–1864) (148 pp. + 54 pages of illustrations, Brussels, 1864), ex libris Henry le Comt, bound in bibliophile style is being offered. This is one of the rarest of early catalogs. 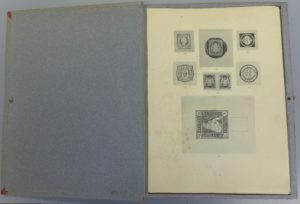 Also lIlustrations of Postage Stamps, an early work by Moens, translated into English by Dr. C. W. Viner (1864) with 148 pp. and 54 plates (with 600 illustrations of stamps, hardbound) is also seen no more frequently. Simply a rarity! 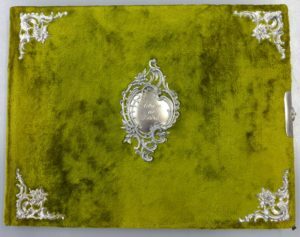 Also, Alwin Zschiesche’s Katalog aller seit 1840 bis Juni 1872 ausgegebenen Briefmarken (Leipzig, June 1872), bound in bibliophile style, and Schaubek/Bauschke: Katalog aller seit dem Jahre 1840 bis auf die neueste Zeit ausgegebenen Brief- und Couvert-Marken (1871). Nach der Alfred Moschkau’schen Sammlung bearbeitet (96 pp., Leipzig 1871) are hardly more common, but unfortunately not in comparable condition (the latter with spiral binding!). All the same, to the bibliophile they are rarities. The first—or one of the first—literature auctions was held in 1899. These and many more interesting titles for bibliophiles are available in the auction. More rare catalogs of Bellars & Davie (The Standard Guide to Postage Stamp Collecting. Giving the Values and Degrees of Rarity, 1st ed., London 1864), Dr. Gray (The Illustrated Catalogue of Postage Stamps, (6th ed. 1875) and another 2nd edition of the Potiquet catalogue, as well as other Moens catalogues (even including the 5th edition of 1877 with 408 pages and 2,250 illustrations, of which only a few examples are known in private hands!) enrich the material on offer. The later editions and printings are also available in significant numbers. Finally, even Stafford Smith & Co. should be mentioned here: The Quarterly Price Catalogue of Postage Stamps (Nos. 1-15, 1870-1874, without Nos. 4, 11 and 13), which form a remarkable inventory of these early price lists. In this regard one immediately thinks of Crawford and Suppantschitsch. The Catalogue of the Philatelic Library of the Earl of Crawford compiled by E.D. Bacon is present here in various copies and versions; you must decide which is more suitable for you. Victor Suppantschitsch’s Bibliographie zugleich Nachschlagebuch der gesammten deutschen phil. Literatur seit ihrem Entstehen bis Ende 1891 … (Munich, 1892, 748 pp.) is represented by a half-leather bound copy. 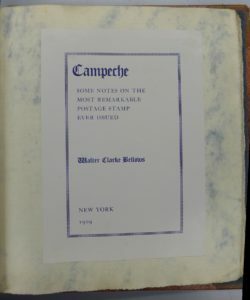 Bellow’s Campeche book is one of the jewels of philatelic literature. The famous BPA works of the 1950s on Sperati’s forgeries are represented in quantity, as well as his diatribe against the experts and expertisers, but there is also a so-called Fournier album, which is described as follows: “Union Philatélique de Genève, Album de Fac-similes, 1928; complete album in original blue binder, Copy No. 28 of 475 (with enclosed information by Lowell Ragatz, 1970).” This is nowadays a legendary album with all the known Fournier reproductions, some in multiples and part-sheets with forged overprints and stamps. Because the majority of these albums have been taken apart, such complete albums are now rarities of great value to the bibliophile and in the history of philately. Fournier’s own journal Le Fac-Simile (Nos. 1-4, 7-8, 11, 14 and 22 from 1910 to 1912) is also rare in this quantity. There is a museum-like item on offer for Prussia collectors, namely the Prussian postal regulations of 1687–1803, an extensive archival collection of all the postal ordinances, edicts and regulations that were published during this period by His Royal Majesty in Prussia, in three volumes which have been bound in high-quality antique leather, and in very good condition. These regulations were printed in an elaborate form by the court printing works at Potsdam, Berlin and Cölln on the Spree. Of particular interest here is the 95-page Post-Ordnung für sämmtliche Königliche Provinzen of November 26, 1872, which has been supplemented by a large number of contemporary handwritten notes on the use of the service. This may be a unique documentation in this form of the historical postal services in Prussia, which is of great interest in regard to both history and postal history. As far as the author is aware, a similar copy sold at auction for as much as 11,000€. 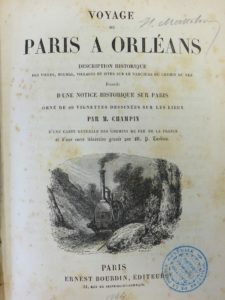 Early works—this is from 1844 and shows the construction of railways in France—are of interest to specialist collectors. Another focus is on partly French-language works on the Franco-Prussian War of 1870–71, with balloon, military and Field Post among the events of the period, but also the further development of the post in the 19th and 20th centuries, documented in all its aspects by numerous publications. Naturally there are Arthur von Rothschild’s first works of the 1870s in different forms, also the well-known standard works on transatlantic mail, and much more. Works on the postal history of our neighboring country have never been present in such quantity in Germany. In Germany itself, everything of note is represented, from the Krötzsch and Kohl handbook, Friedemann, Wittmann to Münzenberg and Peter Feuser’s works. Europe is represented by numerous handbooks and standard works from the end of the 19th century, again with many titles from the legendary and bibliophilic monograph series of Jean-Baptiste Moens from the 1880s. The main titles of Moens, Maury, and others are here in good, complete, often duplicated numbers. The abundance of individual monographs on all aspects of the philately of France, Britain, Italy etc., also rarely found in this number in Germany, is almost breathtaking. The same could be said of worldwide material, not only the Americas, but also Asia, whose countries are amply represented. Of course, even specialist areas such as ship mail and air mail are represented in quantity—usually in mixed lots of more manageable size, in which many minor rarities are also hiding. Some individual works serve as examples. Switzerland: P. Mirabaud/de Reuterskiöld: Les Timbres-Poste Suisses 1843–1862 (Paris, 1899), one of the most legendary works of philatelic literature, which is also represented several times in the auction in different forms. 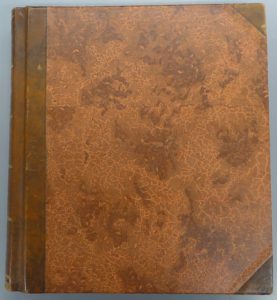 There is even a nice full leather-bound example with raised bands and elaborately embossed spine and title lettering, with special slip-in case. Sir John Wilson’s work The Royal Philatelic Collection (Dropmore Press, London)—probably the most luxurious work of philatelic literature, unparalleled to the present day, the original edition of 1952 with original slip-in case, cannot be omitted from this list. Also G.S.F. Napier: The stamps of the first issue of Brazil is in regard to the earlier printing of only 200 copies not common nowadays, also J.R.W. Purves, The Half-Lengths of Victoria (216 pp. and 31 plates in a slip-in case, London 1953, no. 90 of a printing limited to only 120 copies) speaks for itself and the rarity of the work. And Hugo Grieberts Study of the Stamps of Uruguay (London 1910, 90 pages + 7 plates, privately hardbound) may be of similar rarity. Legendary and rare: a complete run of The London Philatelist. In comparison with the monographs, this area of the sale is less comprehensive, but it contains a number of notable items. For example, The Philatelic Record—one of the most important British journals, indirectly a precursor of The London Philatelist, in a lot including the year-volumes 1–17, 19, 25, 27–36 (from 1880 to 1914), the first years with original photos in philatelic size, some in the original decorated hard bindings, partly privately done. A total of 29 years, also unbound vols. 18, 20, 21, 22, 23 and 26. The various journals of Robson Lowe from the 20th century are offered in great abundance and range, but also Godden’s Gazette (Vols. 1–7, 1933–1940) complete in four similar hardbound volumes with embossed spines. The journal of this renowned professional philatelist is very rarely offered. 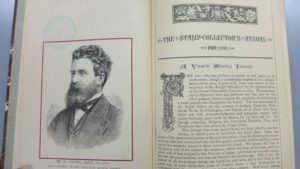 Also a rare item: The Stamp Collector’s Annual of 1881. Worthy of particular mention are the many runs of journals of various study groups from abroad, which you can hardly ever see offered in Germany, including Philatelic Literature Review with an almost complete run of the first series of 1942, The Aero Field (from 1938), The Cinderella Philatelist (17 years and more), Bulletin of the Postal History Society (from 1936), The Great Britain Philatelist + The Jamaica Philatelist (1927–1949) and TPO (journal of the T.P.O. & Seapost Society), Vols. 1–28 (1947–1974). These are just examples; the auction offers much more. Runs of The London Philatelist and The Collectors Club Philatelist have not been forgotten—these are almost completely represented from 1892 and 1922 respectively. And also The Stamp Lover and some additional items. 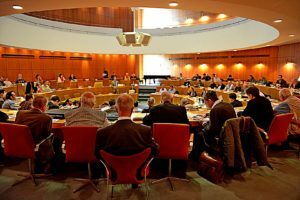 It already seems that the upcoming Köhler auction has such variety on offer as the rapporteur has not previously encountered. This is as true for the name and special sales as for the large lots of “runs,” that is, decades-long runs of the detailed catalogs of auction houses. The first category is dominated by the names of Ferrary, Colonel Green, Hind, William H. Crocker, H. P. Manus, Burrus, Franklin Delano Roosevelt, Josiah K. Lilly, King Farouk I of Egypt, Caspary, Boker, Sir Gawaine Baillie, Chartwell, etc. In the “special sales” section these catalogs are often summarized in groups by collecting areas/countries, which should please researchers and experts. “Exceedingly rare …”—this can certainly be said of this early Harmers catalog. It is worthy of emphasis that there are not just recent catalogs of the last few decades here, but also many older catalogues from the 1920s and ’30s and earlier, which are not easy to find nowadays. Many lots comprise rare and valuable catalogues in small groups, but there is a more than significant number of “large lots” in five, six, or more large boxes, which alone may comprise several hundred, sometimes significantly more than 1,000 catalogs in each lot. To describe them in more detail here is completely impossible. Such “runs” have never been seen at any auction in Germany until now. A typical example of this exceptional offer of material is, however, mentioned here: the H. R. HARMER “Baby Sale”—a comprehensive run of approximately 200 (!) small-size (approx. A6+) auction catalogs that appeared between 1942 and 1946 (often with P/R). Due to wartime conditions, these catalogues are missing today almost everywhere. This example can only show just how unusual such single lots can be. One can find the names of almost all the large auction houses of the last century, which together amount to many thousands of catalogs. 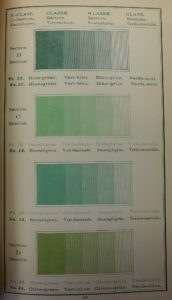 Perhaps the world’s first color guide appeared in New York in 1884. Philatelic history enthusiasts may be pleased to see rich lots of early exhibition catalogs from London 1890, others a first album by A. Bruck of Brazil in very nice condition (just one other is known so far, however with a different colored velvet cover). 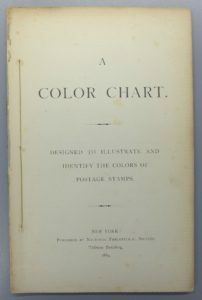 What is perhaps the first color guide for philately (National Philatelic Society, USA: A Color Chart (designed to illustrate and identify the colors of Postage Stamps, 79 pages, New York, 1884) was seen by the author for the first time in the original, and Dr. Legrand’s early study Essai sur les Filigranes et les Papiers employés a la fabrication des Timbres-Postes (60 pages, 2nd ed., Paris, 1867!) is something that one doesn’t see every day. That certainly also applies to the commemorative publication of the Berlin Philatelic Club of 1898. Adolf Reinheimer’s description of the Schröder collection is well-known. But the plates in a separate case? This version was so far unknown to the author. 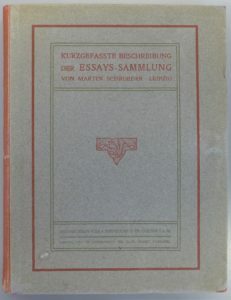 Reinheimer’s work Kurzgefasste Beschreibung der Essays-Sammlung von Martin Schroeder, Leipzig, 1903, hardcover with jacket, 59 pp. plus 72 plates depicting all the essays; also with a case (somewhat damaged) and the loose plates 2–72 (very rare) is something that the rapporteur had never seen in this form, that is with the separate case. Literature enthusiasts will discover lots with compilations of specialist literature auction catalogs, price lists, etc., and many other lots with exhibition catalogu of all countries during the last 120 years. This auction offers something for everyone—no, this is actually wrong: for each person there will be such an amount that he must decide on what to put the emphasis, on what is very important to him. Much space and the necessary money are needed. One wishes one had more of both!